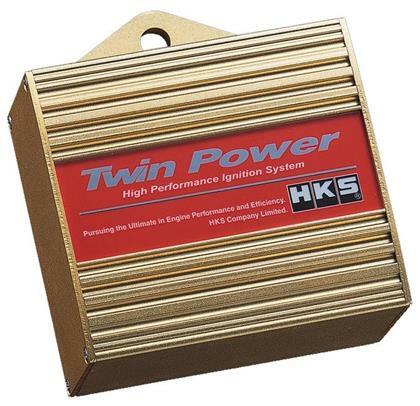 The Twin Power ignition amplifier incorporates both the CDI and transistor method ignition to provide optimum spark duration and maximum voltage output, resulting in crisper throttle response and a smoother engine powerband. The CDI method, capacity discharge ignition, provides maximum voltage by transferring all stored energy in the capacitor to the ignition coil so that the ignition current can buildup quickly, thus making the Twin Power very effective in the higher revs where a normal spark would tend to diminish. This strong rapid spark prevents the high rpm ignition miss that reduces peak power.